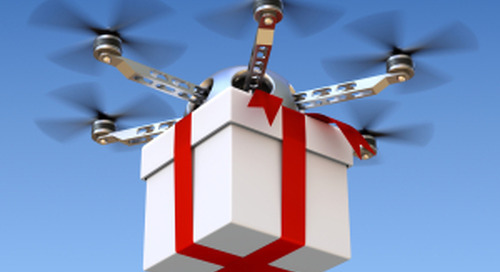 Regulation of drones in the hands of civilian pilots took a big step forward today. The Federal Aviation Administration announced that all units weighing between 0.55 pounds and 50 pounds must be registered by February 19th, 2016. Anyone caught flying without proper registration after that date could face stiff penalties. The FAA says civil penalties include a fine of up to $27,500. Criminal penalties include a fine of up to $250,000 and up to three years in jail. The registration will usually include a $5 fee, but the FAA is waiving that for the first 30 days in an effort to encourage participation. It notes that "registrants will need to provide their name, home address and e-mail address. Upon completion of the registration process, the web application will generate a Certificate of Aircraft Registration/Proof of Ownership that will include a unique identification number for the UAS owner, which must be marked on the aircraft." Time to break out those decal packs. You can't actually register until December 21st, although you can begin the process now. And this registration only covers civilian pilots and hobbyists, not people who want to use a drone for commercial purposes. The FAA did note in this press release, however, that it is "developing enhancements that will allow such online registrations by spring of 2016" for commercial operators. Owners using the web based registration must be at least 13 years old. It's unclear if younger pilots can apply through snail mail. "Make no mistake: unmanned aircraft enthusiast are aviators, and with that title comes a great deal of responsibility," said US secretary of transportation Anthony Foxx. "Registration gives us an opportunity to work with these users to operate their unmanned aircraft safely. I’m excited to welcome these new aviators into the culture of safety and responsibility that defines American innovation." Merry Christmas - Here's A New Map Update!